I got in last night from visiting my family. I have a full work days head today so here are pictures of a quick little project that I finished just before I left. This is for my sister who has chickens. I made this block ages ago and ran across it last week. So it didn’t take long at all to turn it into a large hot pad. 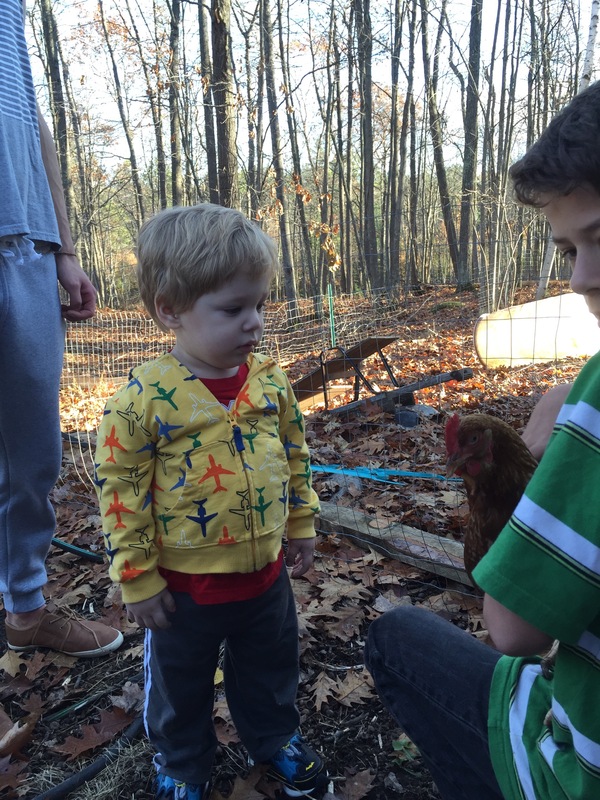 Here is a picture of my Little L visiting one of her chickens that is being held by my awesome nephew. He was not quite sure what to make of it! 7 Responses to I’m back! Love that wary expression! Lovely watching children experiencing new things and learning. 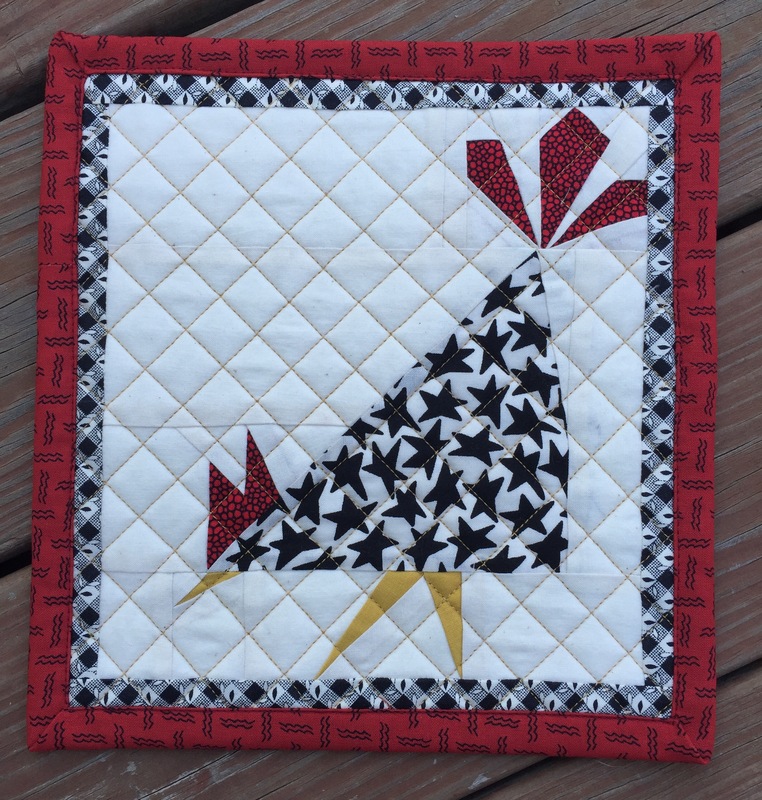 The chicken block makes a great gift. The little hot pad is ADORABLE but not as adorable as Little L. He’s too cute for words. Welcome back ! 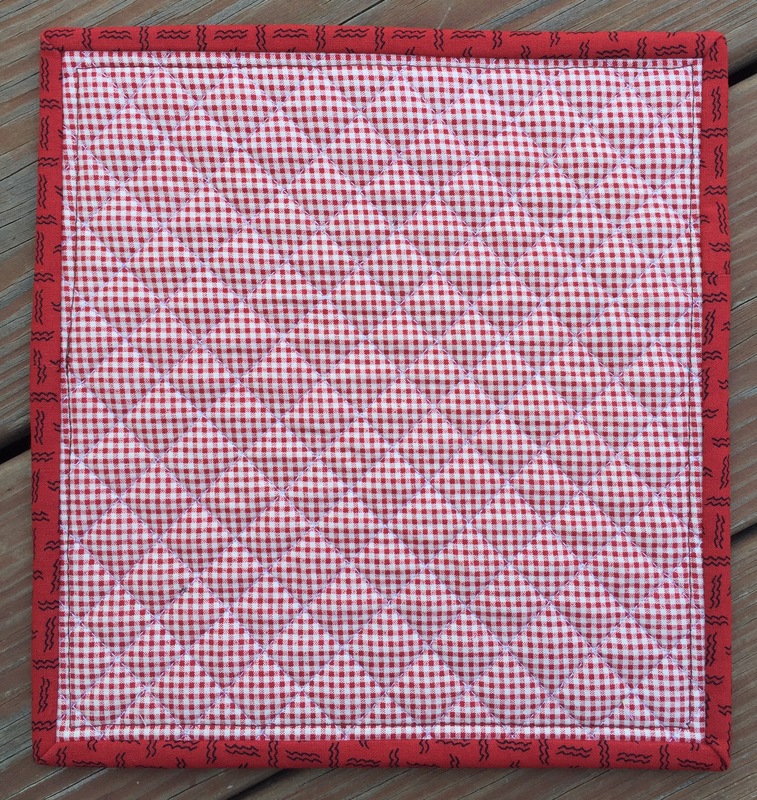 This little quilt is very cute ! And this little boy too !! Adorable chicken! The black/white star fabric is perfect–Love it! Cute hot pad. And the expression on your Little L’s face is priceless!